Most entrepreneurs understand the value of incorporating a social media strategy into their business plan. But as I meet more and more of you, I’ve discovered that when it comes to implementing, many of you are either nowhere to be found on social media or your social channels have clearly been neglected. I believe this is in part due to not knowing where to start, how to measure results or even how to work it into an already crowded schedule. Depending on where you are on the social media spectrum, what you’re about to read will either inspire you, remind you or be a rude awakening. The following three reasons are why you as an entrepreneur need an up-and-running social media strategy to take your business to the next level. Did you know that there is an estimated 1.96 billion social media users throughout the world? And that number is expected to jump to 2.5 billion in 2018! That’s good news for you because it means you’re not too late to the party. You still have an opportunity to place your content and your business in front of your audience. The bad news-good news is that “everyone on social media” includes your competitors. It’s likely your audience is already learning about your product/service/industry—the choice becomes whether the information comes from you or the other guy. The good news is that’s an opportunity for you to shine. With social media, you can see what your competitors are doing, and more important, what they’re NOT doing. Use this to your advantage. These are things to keep in mind when designing your social media marketing strategy. 1 out of 5 minutes spent on mobile in the US is on Facebook and Instagram. The proof is in the pudding. Depending on who you ask, “Facebook is the new Google” is a metaphor, a hyperbole or an indisputable fact. In any case, last year there were 2 billion Facebook searches, up 33% from the previous year and continues to rise. You do the math. But wait. Let’s not forget about the other social channels either. Billions of people search keywords, hashtags and other terms on Twitter, Instagram, YouTube and more looking for solutions for a specific pain point, challenge or problem that YOU can solve. When someone searches a keyword that relates to your business, you want to be front row and center in the results. In other words, don’t underestimate the power of social media search. Search engine optimization is essential. Think about how many times you’ve googled someone or a business and their Twitter or LinkedIn profile popped up. One more reason it’s so important to maintain a social media presence. Entrepreneurs need to take advantage of the power of social media marketing, like yesterday. Any opportunity you have to engage with customers and prospects is an opportunity to build awareness and grow your business. Once you’re social, share provocative surveys, third-party reports, or showcase existing customers with live video or events to start the conversation. Your options are limitless. As an entrepreneur, you actually have an advantage over larger companies. You are not burdened by a social media policy that restricts you from sharing certain content. I have worked with businesses with and without a social media policy so I can tell you first hand that this is HUGE. Since you are the owner of your business, you make the rules. Larger brands have very strict guidelines about who can post, what they can post, where they can post it and so on. This GOLDEN for connecting with your audience because you can truly be authentic without any barriers. For example, a Fortune 100 company make have a rule that all live videos have to be scripted, rehearsed and pre recorded. This can add hours, days or even weeks to the posting process. A business owner on the other hand, can decide to go live at any given moment to share something they just came across or a spur-of-the-moment thought. Take advantage of this. For a step-by-step guide on how to start building your social media presence today, download my 6 Steps for Entrepreneurs to Take Their Social Media Channels to Savvy Success guide. 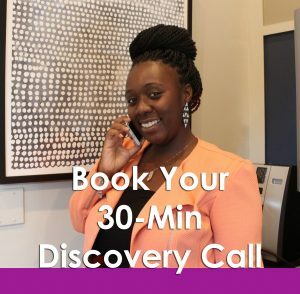 To learn more about social media options specific to your business, book your 30-minute discovery call with me and let’s jumpstart your social media strategy. Don’t forget to subscribe for more fresh social media tips delivered straight to your inbox.